Norma was born and raised in DeRidder, Louisiana and graduated from DeRidder High School in 1981. She moved to Leesburg, Florida in 1984 and resided there for 26 years. In 2010, she moved back to DeRidder and currently resides in Singer with her husband, Wayne, of 33 years. In her spare time, Norma enjoys reading, cooking, and spending time with her husband, Wayne. She also enjoys spending time with her dog, Gracie and cat, Mollie. Norma became a member of the Solinsky Group team in May of 2010. She is currently the Group Client Service Representative and is responsible for managing and handling the needs of our group account members. 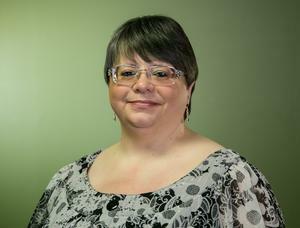 We are happy to have Norma on board, as she is an asset to our team with over 30 years of customer service experience.